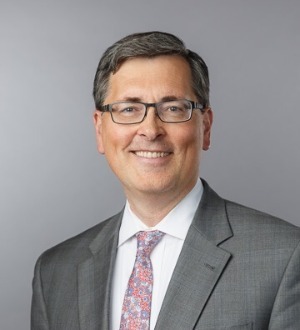 David Sorensen is a managing shareholder and co-chair of Berger & Montague's antitrust department. He graduated from Duke University (A.B. 1983) and Yale Law School (J.D. 1989), and clerked for the Hon. Norma L. Shapiro (E.D. Pa.). He concentrates his practice on antitrust and environmental class actions. Mr. Sorensen co-tried Cook v. Rockwell Int’l Corp., No. 90-181 (D. Colo.) and received, along with the entire trial team, the “Trial Lawyer of the Year” award in 2009 from the Public Justice Foundation for their work on the case, which resulted in a jury verdict of $554 million in February 2006, after a four-month trial, on behalf of thousands of property owners near the former Rocky Flats nuclear weapons plant located outside Denver, Colorado. The jury verdict was then the largest in Colorado history, and was the first time a jury has awarded damages to property owners living near one of the nation’s nuclear weapons sites. In 2008, after extensive post-trial motions, the District Court entered a $926 million judgment for the plaintiffs. The jury verdict in the case was vacated on appeal in 2010. In 2015, on a second trip to the Tenth Circuit Court of Appeals, Plaintiffs secured a victory with the case being sent back to the district court. In 2016, the parties reached a $375 million settlement, which received final approval in 2017. Mr. Sorensen played a major role in the firm’s representation of the State of Connecticut in State of Connecticut v. Philip Morris, Inc., et al., in which Connecticut recovered approximately $3.6 billion (excluding interest) from certain manufacturers of tobacco products. And he served as co-lead class counsel in Johnson v. AzHHA, et al., No. 07-1292 (D. Ariz.), representing a class of temporary nursing personnel who had been underpaid because of an alleged conspiracy among Arizona hospitals.The case settled for $24 million. Mr. Sorensen also has played a leading role in numerous antitrust cases representing direct purchasers of prescription drugs. Many of these cases have alleged that pharmaceutical manufacturers have wrongfully kept less expensive generic drugs off the market, in violation of the antitrust laws. Many of these cases have resulted in substantial cash settlements, including King Drug Co. v. Cephalon, Inc., (E.D. Pa.) ($512 million partial settlement – largest ever for a case alleging delayed generic competition); In re: Aggrenox Antitrust Litigation ($146 million settlement); In re: K-Dur Antitrust Litigation ($60.2 million); In re: Prandin Direct Purchaser Antitrust Litigation ($19 million); In re: Doryx Antitrust Litigation ($15 million); In re: Skelaxin Antitrust Litigation ($73 million); In re: Wellbutrin XL Antitrust Litigation ($37.50 million); In re: Oxycontin Antitrust Litigation ($16 million); In re: DDAVP Direct Purchaser Antitrust Litigation ($20.25 million settlement following precedent-setting victory in the Second Circuit, which Mr. Sorensen argued, see 585 F.3d 677 (2d Cir. 2009)); In re: Nifedipine Antitrust Litigation ($35 million); In re: Terazosin Hydrochloride Antitrust Litigation, MDL 1317 (S.D. Fla.) ($74.5 million); and In re: Remeron Antitrust Litigation ($75 million). Mr. Sorensen is serving as co-lead counsel or on the executive committee of numerous similar, pending cases. In 2017, the American Antitrust Institute presented its Antitrust Enforcement Award to Mr. Sorensen and others for their work on the K-Dur case.